50 wipe-clean cards with lots of puzzles to solve, pictures to draw and things to spot. Perfect for a car or plane trip... Wipe clean, start again! 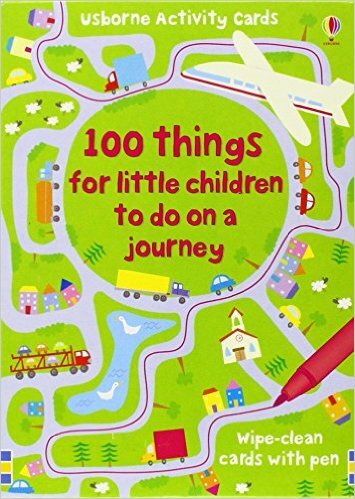 Each card contains simple activities to keep little children busy on long journeys. Includes games such as noughts and crosses as well as puzzles and quizzes using objects which can be found inside the vehicle or in the surrounding scenery. The cards are wipe clean and the pack includes a special pen to write the answers on the cards, making the pack entirely self contained and easily portable. The cards are robust and durable, ensuring repeated use.